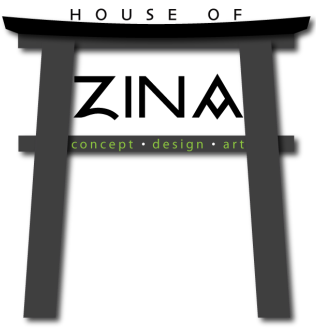 "Make Each Day Your Masterpiece..."
Zina Martin is the Owner and Chief Design Impressionista of House of Zina. She is a freelance artist and Designer, once an art educator for 6 years in CHISD. She also is creator and owner of A Purple Notion: A Studio Experience located in Cedar Hill, Texas. A Purple Notion is an art studio where we bring a mishmash of unique and cutting edge Arts and Social related events, live music, workshops, and classes that appeal to the senses and create a social atmosphere of ideas, conversation, creation and conundrums. She is also co-owner and artist of Frida's House of Hues which focuses on elementary art education. She is involved in many avenues of creativity including but not limited to Commercial and Residential murals, Children's Book Illustrations, print ready graphic design, hand made beaded jewelry, event design, unique hand made gifts, and mixed media art. ​Ms. Martin, sister of journalist and political analyst Roland S. Martin, is also designer and creator of Mr. Martin's feathered pocket squares for men. Truly a "Jill of All Trades", always experimenting, creating and contemplating new ideas and "notions". She specializes in creating unique, one-of-a-kind creations from her own vision or from yours and she makes it into a reality.